Mr. Coles studied at the College of Law in London and is a Fellow of the Caribbean Law Institute. He is an experienced lawyer both in England and in the Cayman Islands, being a Solicitor admitted in England, a Cayman Islands Attorney-at-law and Notary Public. Prior to coming to the Cayman Islands he was the founding partner of a substantial firm of solicitors with offices in England. From 1992 to 1999 he was the Attorney General for the Cayman Islands and a Member of the Cabinet and Legislative Assembly. Mr. Coles is a member of the Law Society of England, the Commonwealth Lawyers Association, the Commonwealth Parliamentary Association, and the Institute of Advanced Legal Studies in London. Mr. Coles also has the distinction of being a Freeman of the City of London. 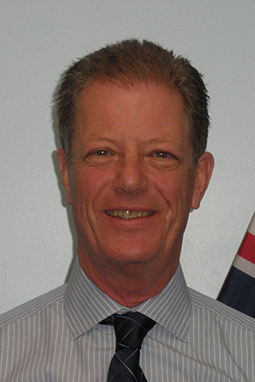 He held the position of Chair of the Cayman Islands Human Rights Commission from 2 January 2010 to 1 January 2014 and served as a Member on the Judicial and Legal Services Commission from 1 August 2010 to 31 July 2015 and was reappointed to serve from 1 August 2015 to 31 July 2016. Mr. Coles served as a Member of the Civil Service Appeals Commission from 1 January 2007 to 28 February 2012 at which time he was appointed Deputy Chairman until the end of his term (31 December 2012).